Belgian linen is made of 100% linen. It can come in different colors and patterns for a more decorative look. Belgian linen can be used for home decor in things like bedding, throw pillows, upholstery, and more. It comes in different weights, the lighter weight linen drapes more easily and the heavier linen is sturdier. 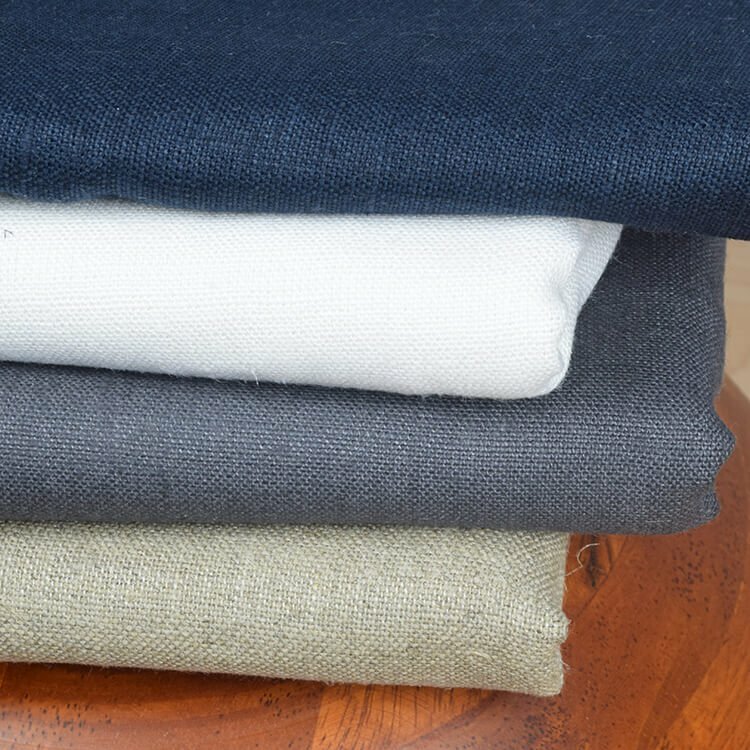 There are also other linen fabrics available like Irish linen, metallic linen, chambray linen, and more. Belgian linen is one of the heavier types of linen, usually ranging from 10 to 15 ounces per square yard. When sewing, use a machine needle between size 10 and size 14, depending on the weight of the linen. Test stitch length and tension on a scrap of linen before beginning. Do not use erasable pens to mark linen; it can be easily damaged by these and by colored chalk and wax. White chalk, pins, and clipping the fabric are good ways to mark linen. Finish seams by pinking the edges or binding them. You can also serge linen seams, which is a quick method for casual garments if you are used to using the serger. Topstitching works well on linen, and it’s great for machine embroidery. Click here to see more tips for sewing linen. Check out our selection of Belgian linen! Is your Belgium linen fabric produced in Belgium or another country such as China or India? Thank you in advance. BEST ANSWER: We're looking into this. We think either the flax is grown in Belgium and/or it's produced there, but we'll let you know when we have an answer. Can I machine wash this linen? The article is about cotton fabric, but the same applies to linen. I'm thinking of using this for counted thread embroidery. What is the thread count per inch on this fabric?